It is 1968 in rural Australia and lonely Tom Hope can't make heads or tails of Hannah Babel. Newly arrived from Hungary, Hannah is unlike anyone he's ever met--she's passionate, brilliant, and fiercely determined to open sleepy Hometown's first bookshop. Despite the fact that Tom has only read only one book in his life, when Hannah hires him to install shelving for the shop, the two discover an astonishing spark. Recently abandoned by an unfaithful wife--and still missing her sweet son, Peter--Tom dares to believe that he might make Hannah happy. But Hannah is a haunted woman. Twenty-four years earlier, she had been marched to the gates of Auschwitz. Perfect for fans of The Little Paris Bookshop and The Light Between Oceans, The Bookshop of the Broken Hearted cherishes the power of love, literature, and forgiveness to transform our lives, and--if we dare allow them--to mend our broken hearts. 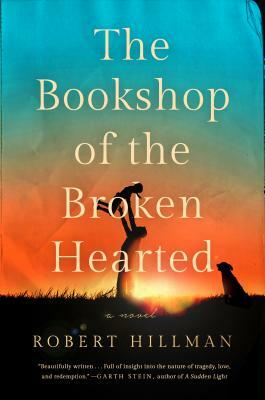 Robert Hillman is the author of The Bookshop of the Broken Hearted and the coauthor of The Honey Thief. He won Australia's National Biography Award in 2005 for his memoir The Boy in the Green Suit. He lives in Melbourne, Australia.